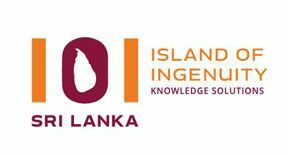 Sri Lanka is one of the best destination for providing off-shore services for ICTand other services Finance and Accounting, Legal, Insurance, Banking, Telecommunication, etc. Many global service providers such as HSBC, WNS, Accenture, Dialog Axiata, Copal Amba, Medigain, E&Y, RR Donnelley selected Sri Lanka to set up their businesses. Sri Lanka has been awarded as the “Offshore Destination of the Year” by National Outsourcing Association (GSA-UK) in 2013 and 2014. Shortlisted for the Award in 2015. Also the country recognized as the center of excellence for Finance and Accounting Outsourcing and ranked at 11th in the A.T. Kearney’s Global Services location Index (GSLI) in 2017.